Available in 6 different tests. 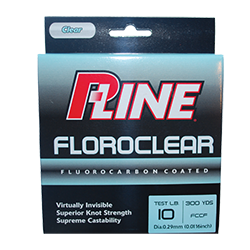 Fluorocarbon coating ensures near invisibility underwater. Tough copolymer construction for unbelievable knot strength and durability.